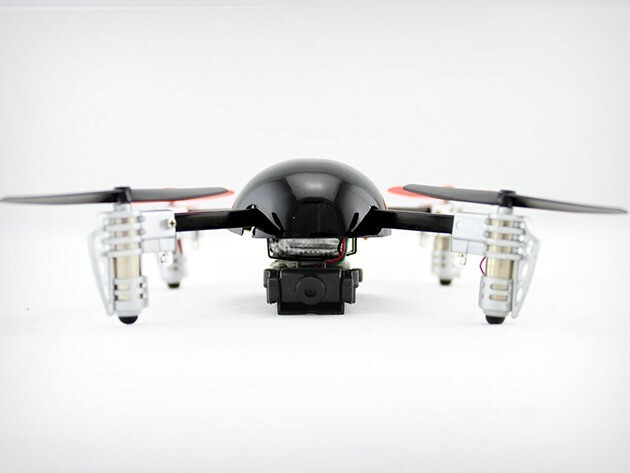 Last Chance for 46% off the Extreme Micro Drone 2.0 with Aerial Camera – free international shipping! Looking for the next tech toy to add to your collection? The Extreme Micro Drone 2.0 is ready for take-off. This compact quadrocopter is perfect for indoor and outdoor flights and complex aerial maneuvers, and can capture it all with its on-board camera! Our deal ends tonight at 11:59pm PT! Simply charge up the drone via USB, pick up the remote control, and pilot the Extreme Micro Drone 2.0 as far as 400 feet away and perform 360-degree flips with ease. Order now from TNW Deals for just $74.99, including free international shipping! Just make sure you get it before it’s gone!